This year's Pain? ... Joy? ... Insanity? Thread: This year's Pain? ... Joy? ... Insanity? As a few of you may remember, last year I tackled the Tour de Yorkshire ride and had an amazing time. Then in the summer I talked my partner into a gruelling few hours on some of the finest and toughest off-road tracks the Peak District has to offer (seemed only reasonable, since I live here ). Well, we both had a fantastic time doing that, so this year I've signed us up again ... and added a few more rides to the list! It's put me at five organised events this year, so I'd really appreciate a bit of motivation from the incredibly supportive hexus massive and in return I'll drop in some details, pictures, and maybe even a few videos from my new action-cam (a Christmas present from my step-son, God love him ). February 4th: Evans RIDE IT Rochdale Road Sportive, medium route (50 miles) event page - event route - Event cancelled due to weather. If you fancy joining me for any of the above rides feel free to register and let me know, and we'll try to sort out meeting up at the start. Re: This year's Pain? ... Joy? ... Insanity? that's some schedule... is it hittable ? ... is it hittable ? 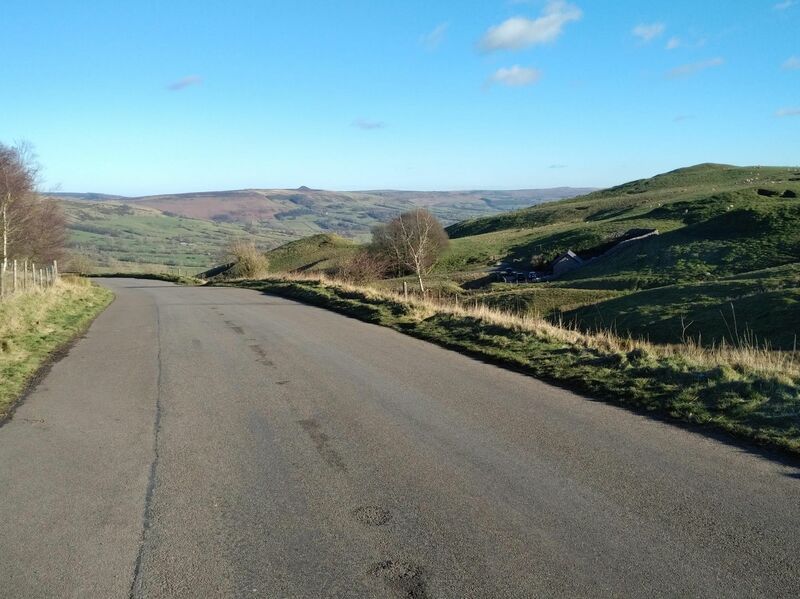 In fact, this year's TdY route is slightly less tough than the one I completed last year. The trick is going to be timings and segments. I'm a bit of a big lad for climbing hills, so ideally I'll be looking to lose a few more pounds before May, and then going for a couple of PRs on the hills, as well as having a couple of targets for both moving and elapsed times. I was planning to get out for a training ride this afternoon, but we've got winds gusting up to not far off 50mph at the minute, so that one's on hold Going to have an indoor climbing session this evening instead. Just realised I didn't mention my other motivation for this lot: Charity! (mate ). Three of these rides will be sponsored for charities that are important to me and/or my family: The Yorkshire Cricket Foundation for the TdY ride; The Alzheimer's Society for the Leeds 100; and (as is becoming traditional) Glossop Mountain Rescue Team for the Peaks MTB. I'll be posting full details of that on facebook, twitter and probably Strava (in the descriptions of my training rides). Last edited by scaryjim; 13-01-2019 at 03:11 PM. Best of luck scaryjim with your endeavors. So, starting to feel pretty good about Sunday, I decided to work from home today so I could get out and try some more hills then have a rest day tomorrow ... and the ride just got cancelled for the weather! It's understandable: a lot of the organising team from Evans Cycles live down south which has been hammered by snow, the temperatures are not going to get much above freezing, and there is some rain or snow forecast for the afternoon. I can understand them not wanting to take any risks. OTOH it does leave me down one ride, which was an integral part of my prep towards the Tour de Yorkshire. I'll have to plot how to replace it in my schedule...! Yep. You heard me. Get some. Now! OK, this update is almost a week late, but better late than never … just like finding some cycling friends! Last week I was reading some blogs, and one of them mentioned an organised ride a few years back that basically starts on my doorstep, organised by the local cycling club. Well, I'd known there was a cycling club locally, but I'm always a bit nervous about meeting new people, and I know I'm not particularly nippy on a bike, but I figured it wouldn't hurt to have a quick look at the club. So I checked out their website, which said "Join our facebook group, come on a couple of social rides, and see if you like us before you join". Well, that sounded painless enough, so I dropped in a request to the facebook group. 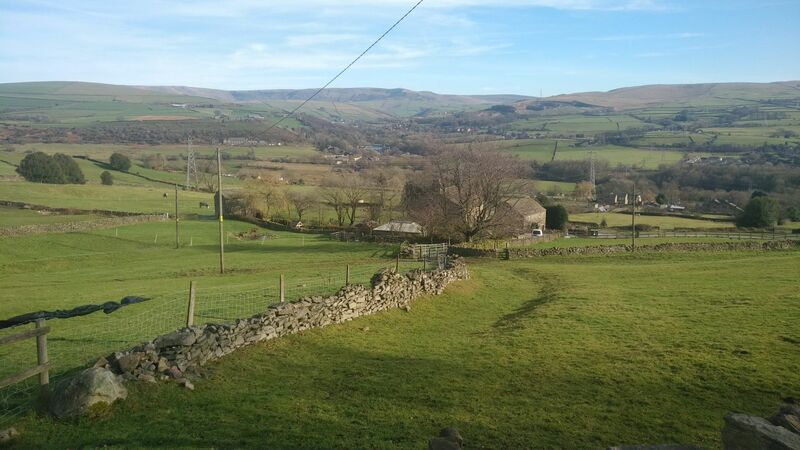 48 miles, > 4000ft of elevation, and, as usual some fantastic views over the dales once I'd got up the hills!